If you’re looking to set up an Ecommerce site, you need to find the right site builder for your business. 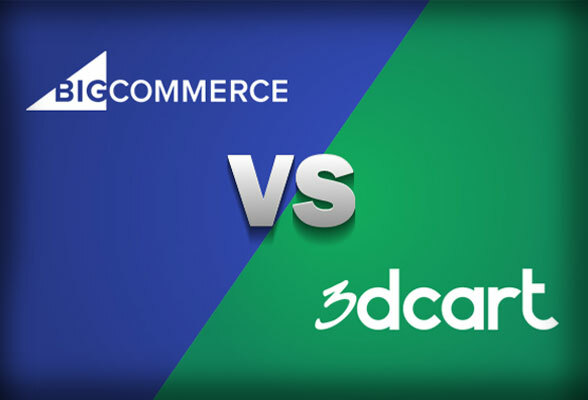 Let’s take a look at industry leaders BigCommerce and Magento, to see who comes out on top. If you have a business that you’re trying to get off the ground – or a thriving one you want to keep growing – operating a solid, user-friendly Ecommerce site is essential. The best Ecommerce site builders allow a business to process transactions online and range from online stores for major retailers to online auctions and more. Running an Ecommerce site allows businesses to make transactions with customers that they might never encounter in a traditional brick-and-mortar establishment. These sites also enable and expedite the interactions with customers, who don’t have to travel to a physical establishment to make a purchase. Pricing is easy and straightforward with BigCommerce​. The standard package can really get any small business humming along nicely for a very affordable price, and all of the conditions are laid out smoothly. There are 4 BigCommerce service packages – standard, plus (the most popular), pro, and enterprise. With all of the plans you receive unlimited storage, bandwidth, and products, as well as a branded store, and sales channels on eBay, Amazon, and others. In addition, each includes 24/7 live-agent support, as well as professional reporting tools, and the option to create coupons and gift cards. You’ll have to upgrade to plus if you want the abandoned cart saver, customer segmentation, and other added features. The standard plan is a great option for a website that expects to have up to $50,000 in sales per year, while with plus you get an added array of marketing tools that can help your company increase sales online. With pro you also get custom SSL, product filtering, Google customer reviews, and additional features suited for businesses that expect to do up to $400,000 in sales annually. The most premium plan on BigCommerce is the Enterprise Ecommerce package, which also kicks in premium account services, express routing, priority support, and strategic account management. It’s geared for large companies that make more than $1 million in sales annually, and according to the company it helps retailers grow at about double the annual rate of the industry average. With Magento, you have to arrange for a personalized price quote and standard pricing lists are not available online. That said, there is a free downloadable version if you are able to play around yourself and work out the open code interface. There are two versions of Magento available. Magento Commerce is an out-of-the-box, fully-loaded platform for mid-size to larger companies that comes with more extensive features and unlimited product support. If you have a smaller company that’s expected to do less than $1,000,000 in annual sales, the open source version should be enough. 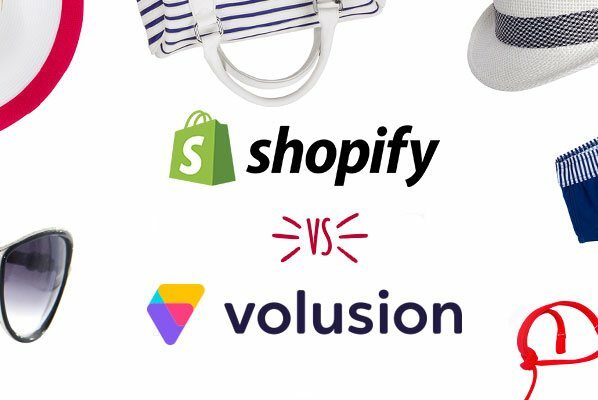 It requires some coding knowledge and you may have to pay for added features that aren’t standard, but for people getting started with their online store, it’s a solid option. Pricing with BigCommerce is simple and affordable and doesn’t require arranging a special consultation like with Magento. 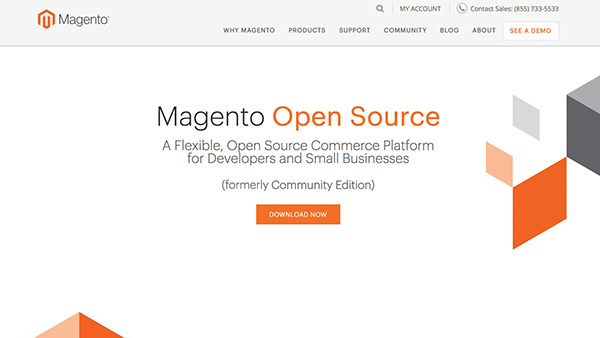 Magento is an open-source, flexible Ecommerce platform that powers more than 260,000 merchants. The company offers a litany of features to help your company thrive online, which have helped it become an industry leader. Magento can manage your online store with a variety of features including a one page checkout and persistent and saved shopping carts, which help ensure that customers who leave the site are able to return to their shopping cart, potentially helping you avoid missed sales. The software can also handle a number of foreign languages and currencies, and can be set up to facilitate international shipping. When it comes to your products, Magento allows you to set up and organize a variety of categories as well as set up promotional sales and coupons that can be used on and offline and set out in emails and newsletters. These promotions help you keep up with customers, as do the wish list and address book, which comes with unlimited addresses. If you already operate an Ecommerce store, you’ll be happy to know that BigCommerce can migrate your entire store to its platform, seamlessly. Once at BigCommerce, you’ll be able to enjoy a highly-versatile and customizable Ecommerce site that provides you with unlimited bandwidth and storage, as well as a host of analytical tools. It also provides SEO optimization and a large number of special store customization options, including customer rewards and sales that will help you reach out to your clientele and keep them coming back. In order to ensure you don’t lose any customers, it also offers an abandoned cart feature. The platform is available with dozens of mobile friendly themes and the interface is easy enough for beginners to master quickly. Security is also a big priority for BigCommerce, as is performance. The company boasts that they have a 99.999% uptime rate, and that you should rarely if ever suffer any serious hiccups. Furthermore, the site is very customizable, and with a high extensive array of integrations available, you should be able to fine tune it exactly to how you want. 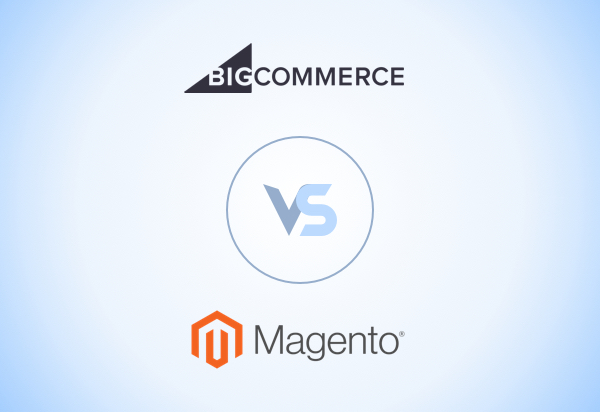 Though it is more difficult to operate, Magento has more features than BigCommerce. BigCommerce is built for users who don’t understand the ins and outs of HTML and CSS coding. The company knows you are a small business first, and you probably don’t have the time or know how for a most complex system. Instead, BigCommerce makes use of an incredibly easy-to-use site building system, with an intuitive interface. BigCommerce also provides you with a large number of templates to choose from and they’re quite easy to navigate with the simple built-in design editor. Once you set it up, BigCommerce will walk you step by step through the process of building your store, and how to use all the different product settings. Magento is built more as an open-source platform for people with a little experience in coding and/or web design. While you certainly don’t have to be an IT wiz to use Magento, it does help to have a little development experience. Set up can be rather complicating and daunting for novices, though once you’re up and running, the daily management of Magento isn’t too complicated. Making major changes to your site will require you getting knee-deep in the source code, or hiring someone who can take care of it for you. 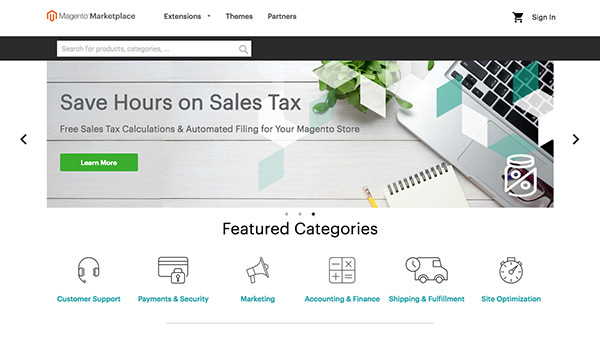 Magento really pulls out all the stops when it comes to features, but with ease of use, the company obviously did not make simplicity the main priority. BigCommerce brings a whole toolbox of analytics and reporting that users can deploy to help their site soar. BigCommerce has built-in Google Analytics Integration and its insights reports provide a real bird’s eye view of site performance that should come in handy. The metrics that are calibrated include sales, conversion rates, and more. BigCommerce also offers “Ecommerce insights,” a premium service ($49/month) that you can put to work for you. The service breaks down the details, showing you who bought what, when, and where, helping you figure out how to segment and target customers. The details are available for perusal right on your dashboard and easy to digest and utilize. 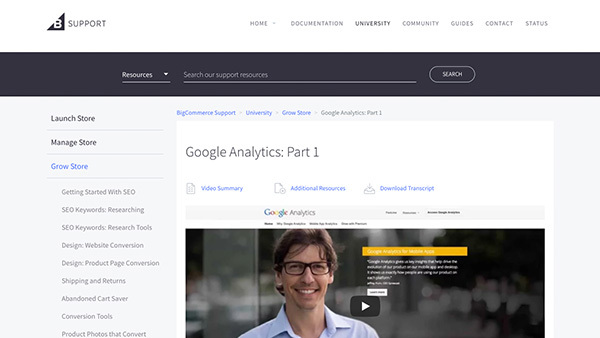 In addition, there are 16 analytics apps which can integrate with BigCommerce, including Google Analytics. Magento offers full Google Analytics integration allowing you to track your company’s performance down to the fine print. With Magento business intelligence essentials, you get access to its report builder, which doesn’t require any expertise. It gives you a whole high-level overview of customer actions and look at repeat and first time and also an outline of analytics you have everything you need to get involved. It also has some built-in report features, but for the most part it's the Google Analytics integration that does the lion’s share of the work with Magento. Both offer full Google Analytics integration, which should be able to handle most of the reporting needs of your website. That said, while Ecommerce Insights will set you back an additional $49/month, it’s a solid option that isn’t available on Magento. BigCommerce can integrate with hundreds of apps covering everything from accounting to analytics to marketing. Free integrations include major email marketing companies like MailChimp, Listrak, and Justuno, which help guide customers to your website and retain those who have previously purchased products. For marketing alone there are over 100 apps available for integration, and more than 50 paid apps if you want to invest a little more. BigCommerce is also the only Ecommerce platform that currently offers built in PayPal One Touch. This gives your site a sort of instant checkout spot, which should increase sales. 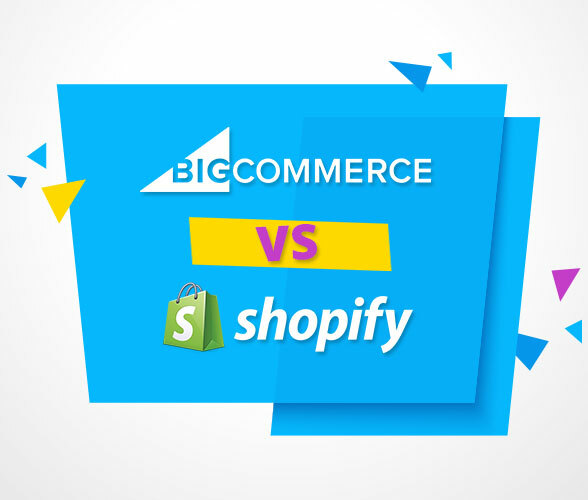 With BigCommerce you can also seamlessly integrate with Amazon, Pinterest, and Facebook, which allows you to get your site on some of the biggest platforms. Hundreds of tools are available through Magento Marketplace, the one-stop shop for plug-ins and extensions that can help your site’s performance. The marketplace lists a total of 2,392 extensions, including more than 300 dealing with marketing alone, and over 260 for shipping. There are also hundreds of brands that are available for partnerships with your site and a healthy number of themes – both free and paid – that you can implement for your site through Magento. Though the marketplace is so extensive that it may be a little daunting for a first-time user, the sheer number of options available there can’t be topped, and is a big reason why Magento is such an industry leader. With Magento, customer support starts with a series of tools that are easily accessed on the company website. You can simply download any patches and tools you need as well as the company’s comprehensive customer support guide. 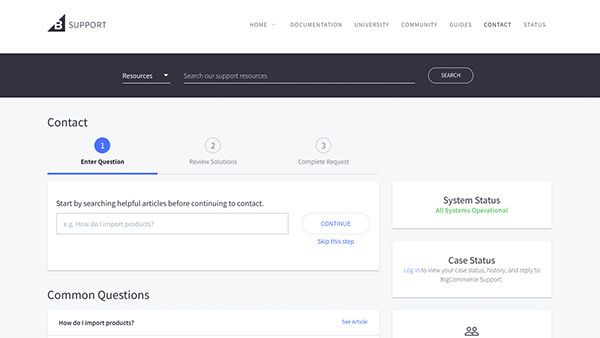 The support section also includes a link to Magento’s customer forums, where you can network with other users who may be having the same issues you are, or at least may know how to solve them. There is also a helpful blog published by the company and at any time 24/7 you can open a technical support ticket and receive a response. There is no live chat option and a number for a customer support hotline could not be found. On BigCommerce the support options start with social media accounts, where you can contact them directly or peruse a long list of posts about support-related issues. If you can’t find an answer there, try the toll free help line, which is open from 8am-6pm central standard time. They also have a helpline for Australia open during business hours, and an email account which the company answers around the clock. The company also operates a forum (“community”) of users and experts which you can access. Magento offers extensive help resources online, but without a phone number or live chat option, your ability to get help in an emergency would most likely be better with BigCommerce. Magento has become one of the biggest Ecommerce platforms in the industry based on a wealth of features and an astounding assortment of integrations. That said, the open-source software requires a pretty good bit of familiarity with web design and it may be best suited for someone with a bigger business. Also, the lack of simple pricing instructions and less extensive customer service options takes them down a notch. 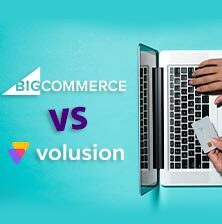 With BigCommerce, users get an easy to use, intuitive, and high-powered Ecommerce platform that can answer all the needs of an expanding business.